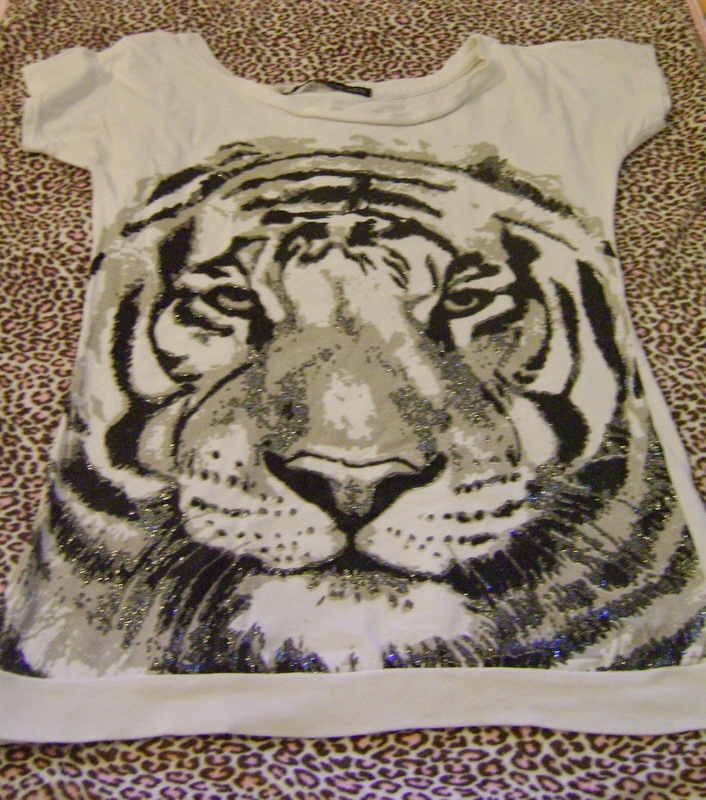 I have the old tiger tee from ZARA. It's been my favorite for at least 3 years. Highly recommend ZARA. Great quality. After 3 years, the tiger print is still like new. The glitter is well attached. However, the neckline looks a little bit old. This is great for my DIY project! 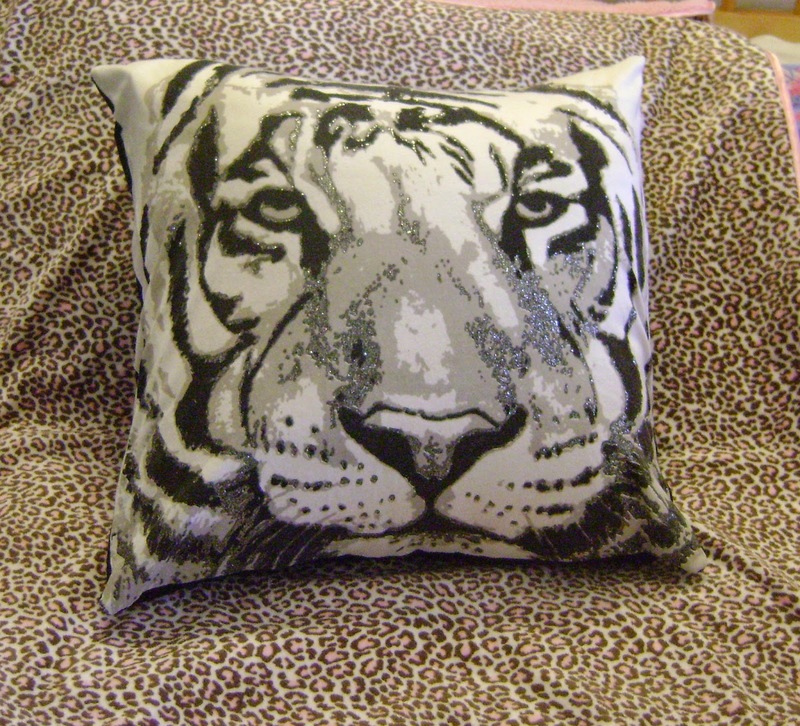 I have a pillow that needs to be redecorated. 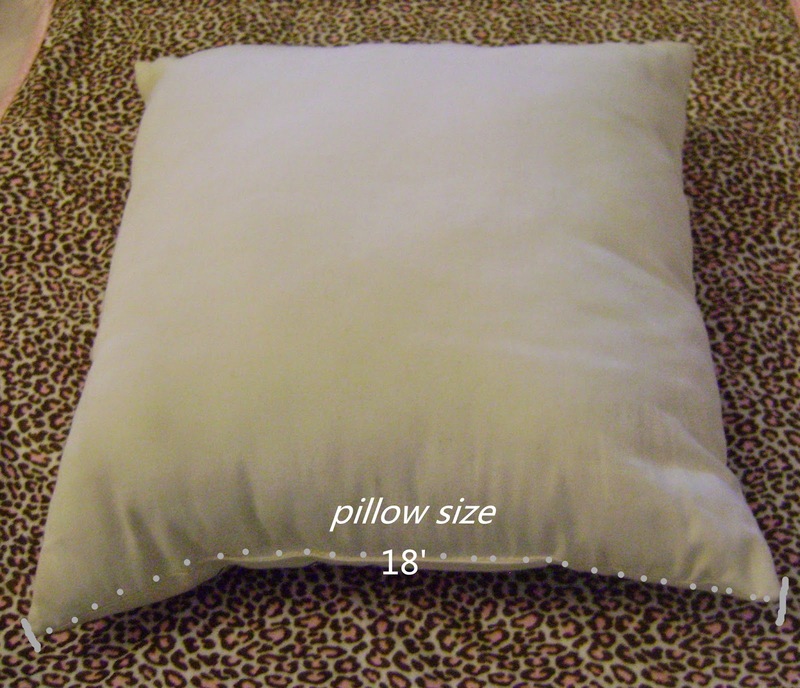 First measure the pillow size. 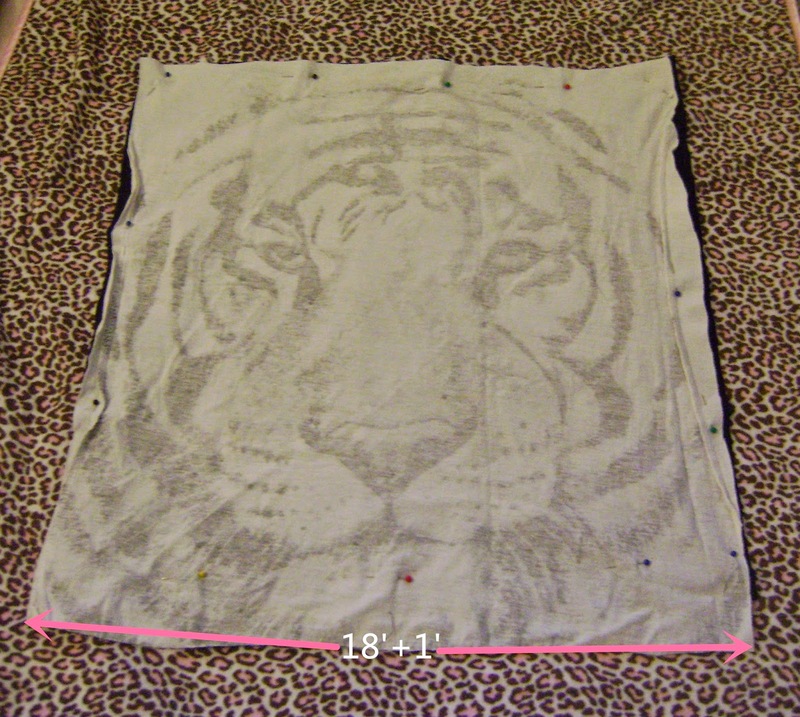 Use an old black tee for the back of the pillow case and the tiger tee for the front. Cut a 18'+1'(seam allowance) square. And sew along on the back side. This is the front side. Guess what! It fits perfectly! Oh, look at the tiger. He looks so proud and elegant. 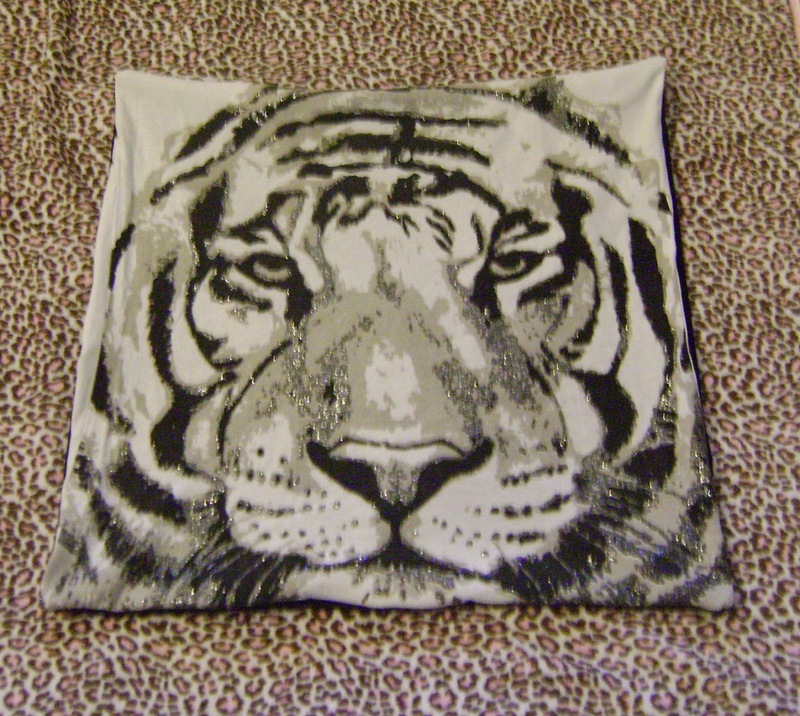 When this pillow case got old and worn out, I made a another envelope style pillow cover and loving it now.